CUESA’s policy is to give preference to producers and vendors whose practices support our mission to cultivate a sustainable food system. For producers, all products must be grown in California, and we give preference to those who farm organically. For vendors, we prefer those who use organic, regionally grown produce, and who have at least two years’ experience in the restaurant/prepared food business. All prepared food is subject to a blind tasting to assure product quality and appeal. We do not accept unsolicited samples. Please note that currently, we have no openings at the Ferry Plaza Farmers Market or Mission Community Market. 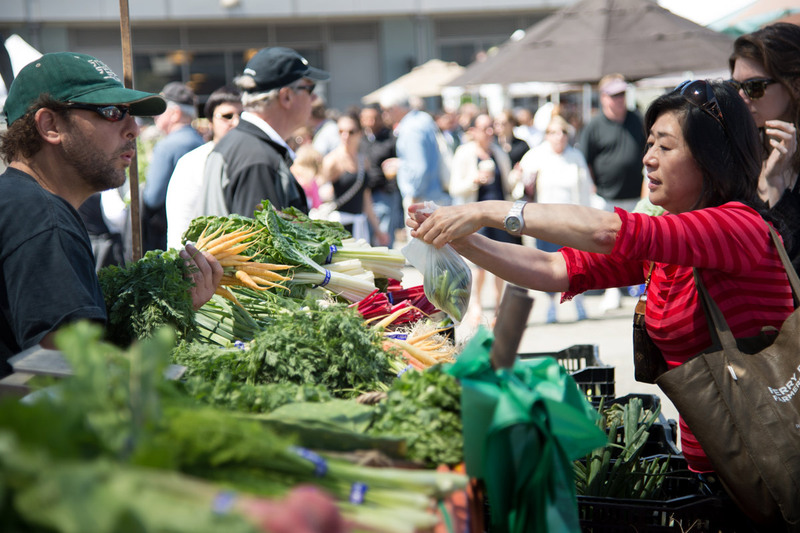 We are, however, accepting applications for a limited number of spaces for farmers and specialty food crafters at the Sunday Jack London Square Farmers Market. Carnival-like foods, such as cotton candy, candy apples, candy, kettle corn, etc. When you have completed the appropriate prospective seller application, please mail it to our office, fax it to (415) 291-3275, or leave it with one of our information booth staff at any of our markets. While we would love to chat with all prospective vendors individually, the high volume of interest forms we receive and our regular work load does not always allow for this. Thank you for taking the time to give us information about your business and we wish you the best in all your endeavors.